No Tomorrow premiered March 2011. The role a film played in a death penalty trial of an alleged murderer. No Tomorrow investigates the murder of Risa Bejarano, the principle subject of our recent PBS documentary, Aging Out, about teenagers leaving foster care. No Tomorrow explores how our film about Risa's last year of life unexpectedly became the centerpiece of a chilling death penalty trial. This unusual documentary covers the trial's most dramatic moments in Judge Lance Ito's courtroom in Los Angeles, including a heated debate over the prosecutor's presentation of Aging Out to foster sympathy for the victim and hatred for the defendant. 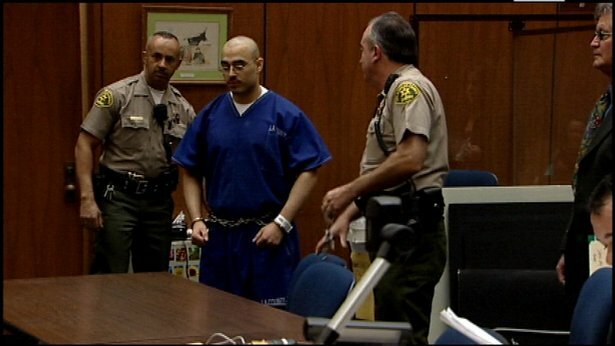 Juan Chavez faces the death penalty in Los Angeles in front of the Judge Lance Ito. We hear from the district attorney, the chief homicide detective, an eyewitnesses to the murder, as well as Risa's former foster mother and friends. We also interview the defense attorney, the defendant's family members, and key defense witnesses. Finally, we speak with members of the jury who explain the burden of the decision they faced, their reactions to the evidence that was presented in court, and their process of reaching their verdict. While the trial focuses on whether Risa's murderer deserves to die, several leading death penalty experts address the broader question of whether the state deserves to kill him. Ultimately, No Tomorrow takes viewers inside a suspenseful death penalty trial and challenges their beliefs about capital punishment. Ironically, we created Aging Out in order to illustrate how difficult it is for teenagers to overcome the scars of abuse and neglect. In No Tomorrow, we were confronted with the prospect that our film was being used by the prosecutor as a powerful tool to persuade the jury to give the death penalty to a young man who had suffered the same traumatic childhood experiences as Risa Bejarano in Aging Out. Having failed to protect the 18-year old defendant as a child, and having failed to protect the community from his violent behavior as a teenager, the state was now deciding whether to execute him. By painting an intimate portrait of the tragic intersection of two young lives, No Tomorrow opens a dramatic window into the complexity and controversy surrounding capital punishment. In addition to the film-within-a-film phenomena, what distinguishes No Tomorrow from other death penalty films is the fact that the defendant is not sympathetic and his guilt is not called into question. In essence, viewers are placed in the same position as the jury and are forced to assess the death penalty after being presented with a portrayal of the perpetrator as a monster and the victim as a model student who was admirably struggling to build a successful life. It's easy to be against the death penalty when there is doubt about culpability, but we believe that No Tomorrow will make viewers question the death penalty even in cases where the defendant is neither sympathetic nor plausibly innocent. Although some viewers may still feel that capital punishment is a legitimate emotional response to the most heinous crimes, No Tomorrow will make them think twice about whether the death penalty is too imperfect, arbitrary, discriminatory, and costly to be a legitimate public policy. No Tomorrow was produced and directed by Roger Weisberg and Vanessa Roth, who also created a related program, Aging Out. Get up-to-date analysis and information about capital punishment and referrals to additional organizations and resources at the Death Penalty Information Center. © 2015 Public Policy Productions, Inc. All Rights Reserved. Text by Roger Weisberg. Photos courtesy of Public Policy Productions, Inc.